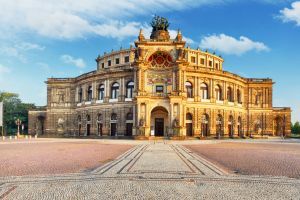 Infineon is setting up a new Development Centre at its Dresden location. The company is planning to create around 100 additional new jobs in the first phase. The new Development Centre is expected to employ a total of around 250 people in the medium term.One focus of it will be to develop new products and solutions for automotive and power electronics, as well as artificial intelligence. It is scheduled to be launched in the course of the 2018 calendar year. In Dresden, the Infineon Group already has one of its largest and most cutting-edge locations for developing wafer technologies and manufacturing processes, as well as a highly automated production plant. 2,200 employees carry out research into and develop technologies for microcontrollers, sensors and power semiconductors and make chips there – including for the automotive industry. System integration is gaining in importance to enable complex interaction between semiconductors in more and more technically sophisticated cars. Modeling complex systems and developing highly integrated products will be one of the new Development Centre’s core tasks in addition to chip design. “Microelectronics is responsible for around 90% of all innovations in the car. Semiconductors are a prerequisite for electromobility and autonomous driving, trends that are major growth drivers for Infineon,” says Dr. Reinhard Ploss, chief executive officer of Infineon Technologies AG. Automotive is Infineon’s largest business area: Semiconductors for the automotive industry generate 42% of the Group’s revenue. 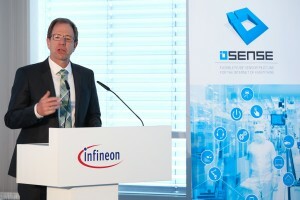 Infineon expects that the trend toward electrically driven, connected and increasingly autonomous cars will help boost its growth significantly in the coming years.